Happy St. Patrick’s Day everyone!! My downline Jeanne and I had an idea and are going to work together to try this out. Each month we are designing a set of projects using a bundle of products from the current SU catalogs. 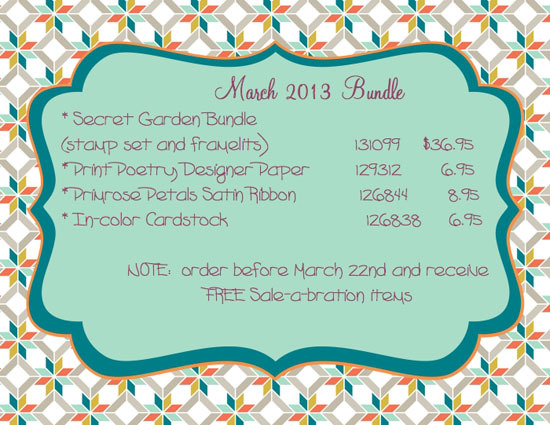 For March, we chose the Stamp Set Secret Garden and the coordinating framelits for our projects. 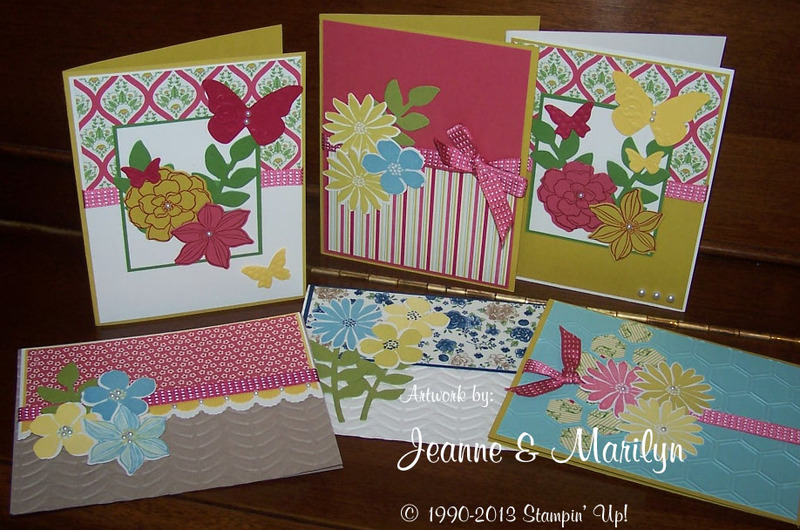 We have 5 beautiful cards designed using the products listed in the bundle. How this will work: Each month we will design a new set of projects using a bundle of products. You can get a full tutorial for these projects for FREE with purchase of the bundle of products from my online store! These items total $59. So don’t forget that there is only one week left for Sale-a-bration. If you purchase this week, you will get a FREE item from the Sale-a-bration flyer. Order Here. We will have a new bundle ready each month around the 15th of the month. NOTE: You will also need adhesive, vanilla cardstock and rhinestone pearls make these cards as shown. Or you can purchase the instructions for $4.95.